June 14, 2009. 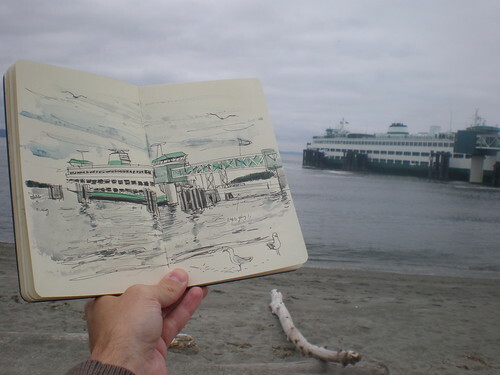 Sketching in Edmonds, WA (USA). See the sketch here. I've tried to condense the philosophy of urban sketching into a few sentences. It's something I've wanted to do for a while, if anything to have a clear idea of what our Flickr group and blogs should be about. I've already tweeted some thoughts on the matter, but here's my final draft, just waiting for your input. We are truthful to the scenes we witness. We don't exaggerate reality or caricaturize people.